The City Center encompasses an area about 1.25 miles west to east from the M8 motorway to High Street, and one mile north from the northern banks of the River Clyde up to the M8 motorway. 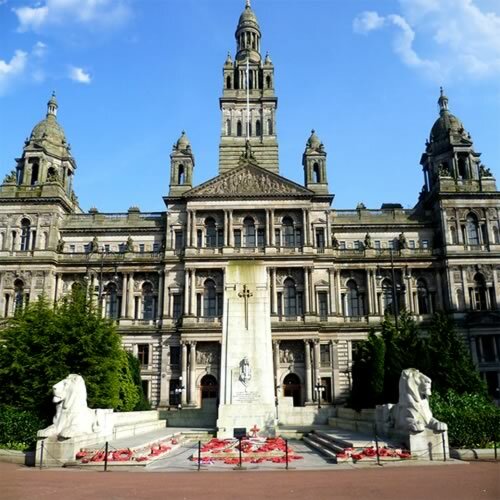 This is the most touristy area of Glasgow, and most likely your hotel will be situated on one of the streets close to either Glasgow Central train station or Glasgow Queen Street train station, both major transport and commercial hubs in the area. Many streets are pedestrianized in the city center. Lots of great sights are available to see all within walking distance; the streets in the city center are all laid out in a grid design, making it easy to find landmarks. The Glasgow Royal Concert Hall, George Square, the Charles Rennie Mackintosh-designed buildings The Lighthouse and The Willow Tea Rooms, and the Gallery of Modern Art are all located in the city center. 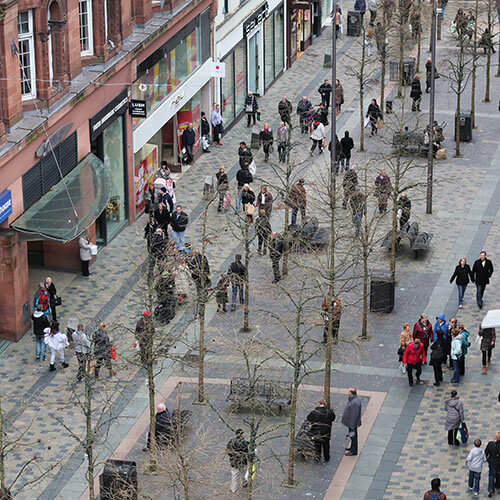 One noteworthy neighborhood inside the city center is The Style Mile, an often-pedestrianized area consisting of three `High Streets` for shopping: Argyle Street, Buchanan Street and Sauchiehall Street. 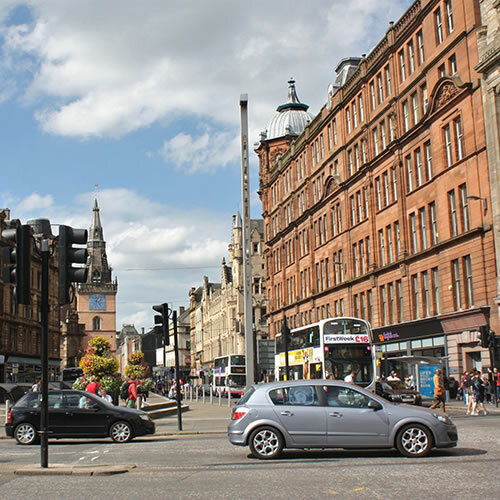 According to many metrics, such as pounds spent, Glasgow is Great Britain`s second-largest retail hub, and these streets offer stores which showcase brand name luxury in clothing and home goods. Nearly every major brand name known in Great Britain has a storefront on one of these streets, and many luxury goods from Europe, the United States and further afield can be purchased here as well. Look on Buchanan Street for stores selling authentic Scottish souvenirs. Originally populated by the families of trade company merchants in the 18th century, this section of Glasgow (located at the far eastern end of the city center) prospered well through the 19th century, as the city`s industry took off. In decline by the 1960s, the neighborhood has experienced a renaissance recently as urban renewal planners modeled Merchant City's recent growth on London`s Covent Garden. There are lots of bars and restaurants in this neighborhood, the residential quarters are some of the hippest in town, and there is lots of high-end shopping, including Ralph Lauren, Emporio Armani and Versace Collections stores. As Great Western Road stretches out into the West End, you will notice there`s a mix of residential and commercial development. 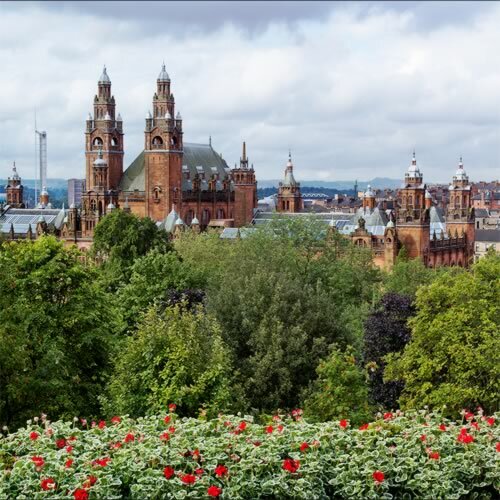 West of this area is Kelvingrove, which is home to the Kelvingrove Art Gallery and Museum, sitting in a lush, green park. 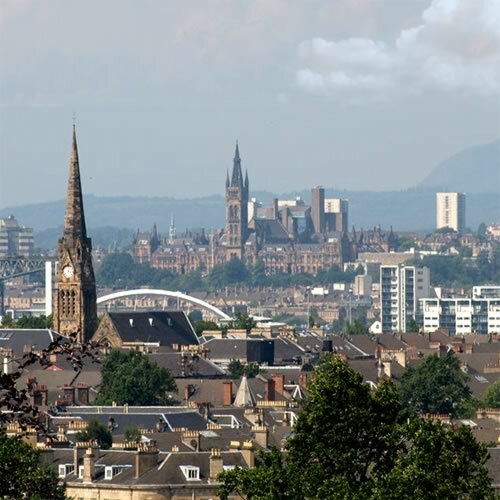 The area close to the University of Glasgow, where Kelvingrove is situated, is of course dominated by student life and teems with young people. You`ll find them hanging out on Byres Road many nights during the school term. The East End was once associated with the working class, but now this overlooked area of Glasgow is thriving thanks to urban renewal initiatives. The 2014 Commonwealth Games were held in Glasgow, and many venues in and around the East End were renovated, bringing in new property owners and investors into previously disadvantaged neighborhoods. 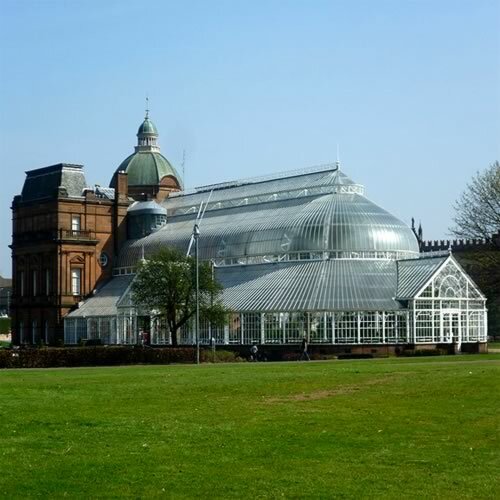 Glasgow Green is located in the East End, as are the Glasgow Cathedral and the St. Mungo Museum of Religious Life and Art, just on the boundary between the East End and the city center. The Southside includes the districts of Govan and Pollokshaws, the former area traditionally known for shipbuilding and the latter area known for its beautiful, upscale single-family homes. 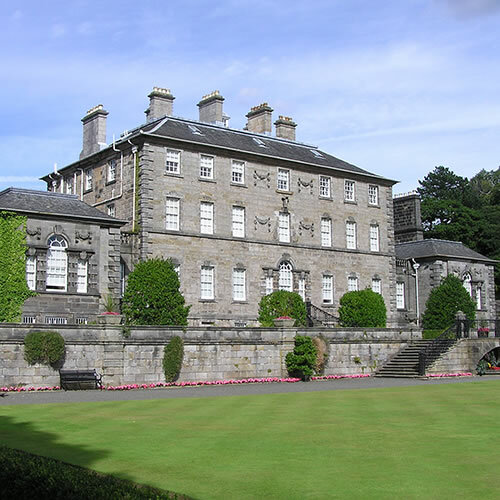 The Govan area houses the Glasgow Science Centre and the headquarters for BBC Scotland, and the Pollokshaws area is home to the Edwardian masterpiece, the Pollok House and Garden.